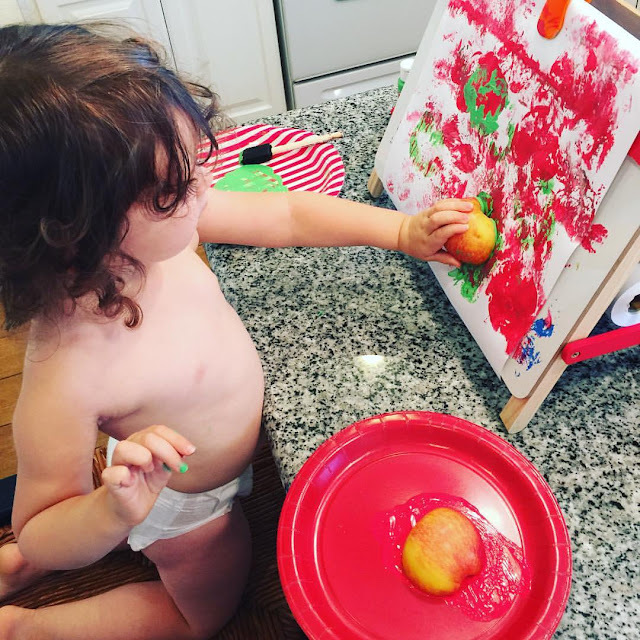 Arrows & Applesauce: You Wanna Play School?! I've known I wanted to homeschool my children since I was in high school. I started pinning homeschool related articles almost as soon as I found out Pinterest existed. And now it's beginning. Sorta. Squeaks is only just two and a half. No matter how excited I am to start the homeschool process I don't want to rush her. Babies don't keep, as they say, and I don't want to organize her childhood away. No one said learning can't be fun though! Although we aren't on a structured homeschool plan yet, we work a little light learnin' in whenever we can. Reading together has always been at the top of our fun and educational activities list. This kid devours books. One of the many reasons I became an Usborne consultant. I already mentioned my personal rule for her reading habits, but we have really upped the bookage in the last few months. I'll read to her multiple times a day and Josh will read to her 20-30 minutes every night too. Her vocabulary amazes me. In addition to reading, I've added a morning activity similar to what a preschool teacher would call "circle time". We gather at her "Day Board" and discuss the day of the week, month, year, season, that day's activity, her mood/emotions, and the letter of the alphabet we're focusing on (got ours from the Target dollar section). This all takes maybe ten minutes. Super simple, she enjoys erasing the previous days info and placing the magnets in their correct spots, and then she's off to play as she wishes. 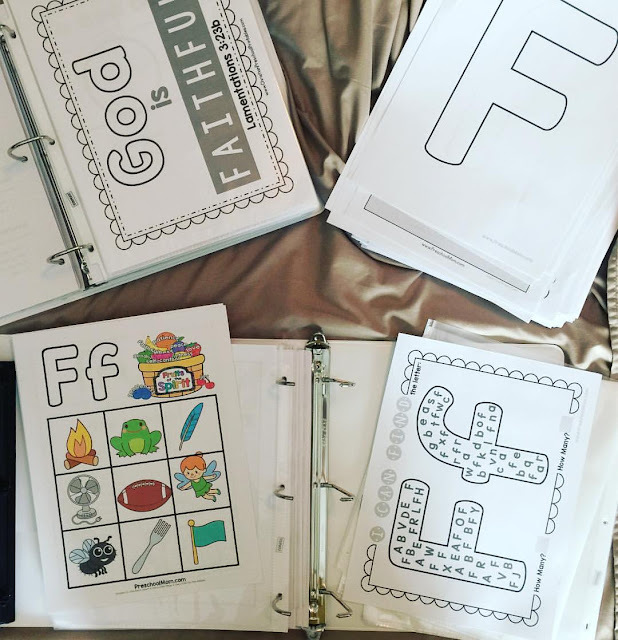 Later on in the day we might add a worksheet or coloring page printed from the AWESOME Bible ABCs curriculum I found on The Crafty Classroom. For the worksheets I use these dry erase pockets so they can be reused over and over. Perfect since homeschooling can get a bit pricey in the printer ink department. Learning the proper way to hold a pen/pencil is going really well too, thanks to these pen control worksheets I found on Teachers Pay Teachers. I cut them up and laminated them (love my laminator!) so they're dry erase now! Squeaks likes using all the different colored dry erase markers. I got excited about her doing so well, which got her excited, which made that last little "a" a little crazy. Haha! Games and other creative activities are fun to add too. Painting has been a favorite lately. We had loads of fun painting fireworks over Fourth of July, and cutting an apple in half (for the letter A) made for a fun stamping project. As far as games, Squeaks LOVES playing Alphabet Erase. 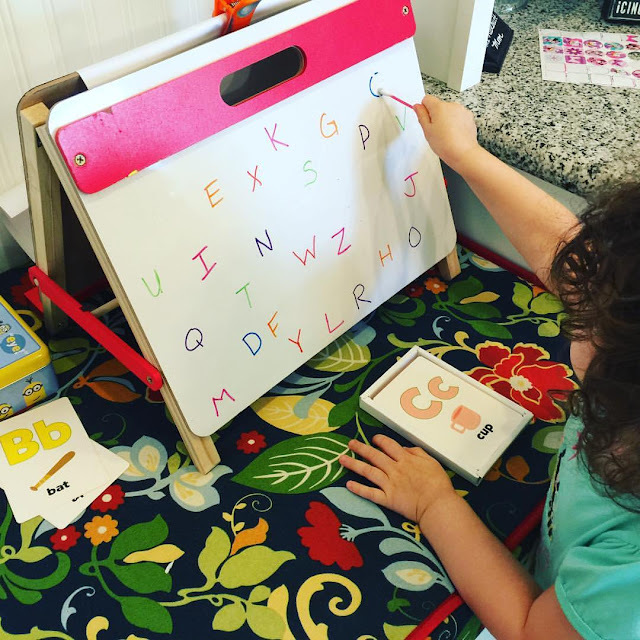 I write the whole alphabet, in all different colors, randomly on her dry-erase board (her easel is from Target and it's fantastic), give her a stack of alphabet flash cards, and hand her a q-tip. As she goes through the flash cards she has to find the matching letter on her board and then erase it with the q-tip. This works on color recognition, letter recognition, and fine motor skills all at ones! Woohoo! Another game I'm working on is Alphabet Fishing. Fish cut out on my Cricut with letters written on them and paperclips attached, a "fishing pole" (stick, string, and magnet), and a laundry basket "boat" are going to make for a good time! Haven't gotten to play this one yet with little brother crawling around ready to devour my alphabet fish, but the pieces are ready to go when we can get a good long nap out of him. So you see, not a ton of structure yet, but we learn as we play. And I'm having a ton of fun preparing for the structured part. Laminating machines and sheet protectors just make my heart sing. What can I say! ?